A lot of stuff can surprise you in the college admission process—and they’re not always the good surprises, like finding money in your jeans or those magical extra French fries at the bottom of the bag.They are the surprises that will make or break your chances of getting into college. College admission folks would rather see you get a “B” in a challenging class than an “A” in an easier one. They want to see you pushing yourself academically—and they definitely don’t want to see you pad your GPA. So take the toughest course load you think you can handle, especially if you have any AP, honors, or other advanced classes available to you. College admission reps would also much rather see that you committed yourself to one or two extracurricular activities, especially over a longer period of time. That’s way better than joining 17 clubs spring of junior year. Admission counselors are looking for depth, not breadth of involvement. They want to see passion! So join the clubs you love, devote as much time to them as you can, and look for leadership roles that fit you. Okay, it’s not like you won’t be considered for admission if you don’t participate in an “optional” interview. But college admission interviews aren’t that common, so when a school suggests participating in one, they probably think interviews are pretty important. Also, participating in an interview shows you’re really excited about attending the college. Admission counselors call that “demonstrated interest”—and it could give you a little bit of an edge compared to the kid who didn’t participate in an interview. You might be tempted to e-mail someone like your state senator, school superintendent, or Neil Degrasse Tyson in hopes that they’ll write you a college recommendation letter. But unless the VIP happens to know you really well, don’t waste your time (or theirs) trying to get a recommendation. Colleges only want to see recommendations from people who know you well enough to speak to your character and strengths, whether it’s your favorite teacher, mentor, coach, drama director, employer, pastor, etc. Here’s the thing: financial aid changes everything—and you never know what kind of financial aid package you’ll get until you apply. It’s totally possible that the most expensive school on your list will offer you enough aid to magically become your cheapest option. Or you might find the school offering you the biggest financial aid package made a huge chunk of that “aid” student loans. Or you might get a big scholarship from one school that only lasts freshman year, whereas another school offers a smaller scholarship that gets renewed all four years and is ultimately worth more… Confusing, right? Instead of hunting down the cheapest colleges you can find, focus on applying to schools that really and truly fit you. Then make sure you fully understand your financial aid award letters when you get them (they come with your acceptance packages). You might’ve already been warned about this: yes, colleges look at your social media accounts, and, yes, you should delete any questionable posts. However, you don’t want to erase yourself from the Internet. In fact, you want admission counselors to find you and see all the fun, interesting stuff you do and care about. Look at your social media through a college admission counselor’s eyes: do your posts reflect the kind of thoughtful, creative, passionate student they’d want to admit? Learn these two terms if you haven’t already: need-blind admission and need-aware admission. Colleges with need-blind admission don’t care if you apply for financial aid, and they won’t consider it when they review your application. But colleges with need-aware admission do consider it—and they might weigh your financial need against you. It’s not necessarily an admissions deal-breaker. But, at need-aware colleges, all else being equal, the student who doesn’t need aid will get in before the student who does need financial help. You can typically figure out if the schools on your list are need-blind or need-aware by doing a little online research, or you can e-mail or call the admission office to ask. It’s not just a practice run for the SAT. The PSAT is also the qualifying test for the National Merit Scholarship Program. If you score high enough (in the top 50,000-ish test takers), you could be eligible for a National Merit scholarship. (Here’s the breakdown of how to qualify.) Not only that, but most colleges love admitting students who crack the top 50,000, even if they don’t end up winning an official National Merit Scholarship. That might get you a leg-up in admission—and maybe even an institutional scholarship. So give the PSAT your best shot. Yes, colleges and universities send out marketing materials to students they think might be a good fit for their institution, students they very well might accept. But they also send brochures to lots of students in hopes that lots will apply—which might boost their selectivity rate. At the end of the day, you should absolutely, positively apply to any and all schools that fit you. Just remember, a brochure isn’t a guarantee. They really do. Why would they ask for them if they didn’t? Colleges use the essay to get a sense of your personality, values, motivations, and college readiness. It’s the one chance you have to use your story to increase your chance of getting into college. It helps them see if you’re a good overall fit for their institution—and the kind of student they should admit. So take advantage of your application essays. Show the admission committee why they should invite you to join their campus. And tell the story only you can tell. Did anything on this list surprise you? 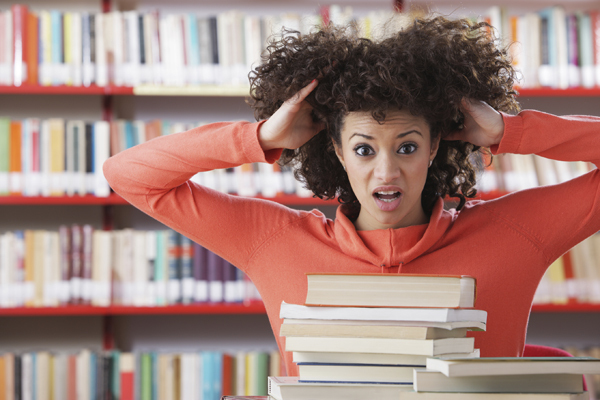 Or have you encountered any other surprises in your college search? Let us know in the comments! Jessica Tomer is the Editor-in-Chief for CollegeXpress, a free college and scholarship search site designed to guide students through the entire college journey—admissions, financial aid, majors, campus visits, you name it. She is an education advocate, storyteller, and grammar nerd. Like many of her fellow Emerson College alumni, Jessica is a news junkie and bookworm. You can get in touch with her on Twitter: @CollegeXpress or @JessicaTomer.